Top 5 amazing Vlogging Camera for you to make you more Socialize. Home Best or Top Top 5 amazing Vlogging Camera for you to make you more Socialize. Vlogging term itself defines that it is related to Camera and the moments captured by the camera.Today’s generation is just like a social animal who want to be more socialize.But, for becoming a social animal who is sharing all the stuff over the social media needs a camera to record the precious moments.So here, I am going to tell you about Top Vlogging camera of all budgets which will make your captured moments more realistic. If you don’t care about cameras, if you don’t care about being vlog your own then definitely you were not here.If you want to know about some amazing vlogging camera which will make your vlog vloggest means the best one.There are many things you should consider before buying a vlogging camera or any other camera.So, I think, First, We should discuss the things which should be considered before buying a camera. Wide Angle Lens: If you are holding your camera at arm’s distance or a little bit more then you want to make sure you’re capturing the whole shot. So, the Wide angle is super super important. Portable and Lightweight: Definitely, You don’t want that your vlogging camera would heavy and you can’t take it anywhere you want. User-Friendly: Everyone wants a device that is Easy To Use and easily compatible with your hand. I know Some peoples are expert and some are beginners, that’s why Easy To Use is an important criterion. 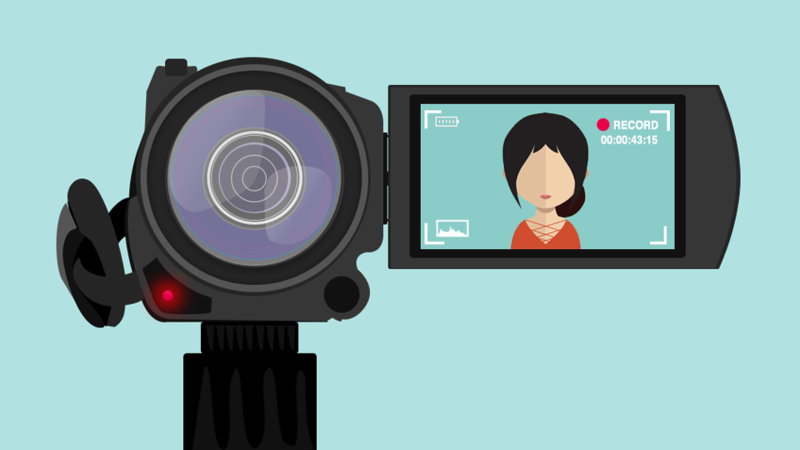 Image Stabilization (IS): Your Camera must have an image stabilization because if you are holding a camera then definitely, it will shake.IS makes Vlogging little bit more smooth. Now, Let’s talk about the stuff for which you are here, If you forget the reason then I will tell you again that here we are going to talk about top vlogging camera. 1.) 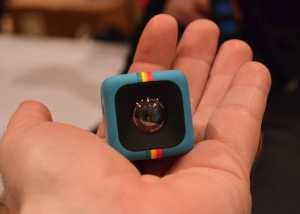 Polaroid C3 Cube: The best thing due to which this camera is in this list is that that this camera is so portable as you can put it in your pocket easily as a dice, Yeah I know this is not small as a dice and you can’t play with it but with this you can play with your images. This camera is for those vloggers who love to capture images and videos with a portable camera and loves to use amazing gadgets. 2.) GoPro: When this camera came in existence then the videos made by this camera amazed the world because the capturing quality of this camera is astonishing.You can see the videos made by this camera on its official youtube channel GoPro. 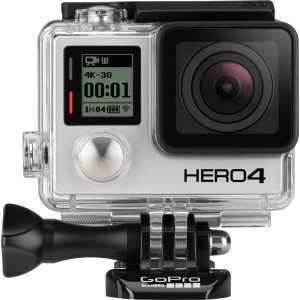 All the cameras made by GoPro are best and suitable for every field.But For Vlogging I choose GoPro Hero4 camera. Time laps and many inbuilt shooting modes. I love the videos by GoPro too much.It makes your videos looks like reality and you can feel like a professional photographer. 3.) 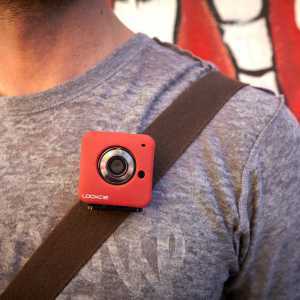 Looxcie 3 : This camera is for those who love to give live feed to the world by putting live videos on Instagram live or facebook live or anywhere.This camera connects you directly to the social media where your fans, friends etc can watch you live.This camera is good for live feed but it doesn’t mean that you can’t record videos with it. Very flexible with multiple mounts and clips. Wearable Camera and flying camera are always the unique concepts, This Looxcie 3 is a good camera for vlogging at the low price but It’s little bit low quality made it USP low. 4.) 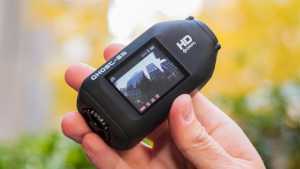 Drift Ghost-S: This camera is loved by those who love adventure, travelling or we can say adventurous travelling.This camera is very good for sharing videos on social media with high quality. 8-megapixel photos while recording video. Shoot stills at 10fps at 12-megapixel resolution. Wide-angle lens with a 160-degree angle of view that can be rotated up to 300 degrees. I think you are thinking Why am I saying that this camera is good for travelling? because it is really made for travelling as it can easily set at your helmet of Sports Bike and enjoy and capture all the rides. 5.) 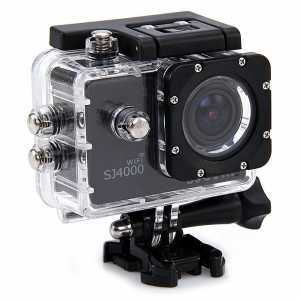 SJCAM SJ4000: This is just like cheap GoPro Camera. Yes, You can enjoy all the features of GoPro in this Camera but with some low quality than GoPro.It is also suitable for travelling as it can also be a fit on the helmet. Capture JPG images at 12MP, 10MP, 8MP, 5MP & 3MP. Removable 900 mAH Li-on Battery. GoPro may offer many more features like Wi-Fi, Bluetooth, or low light shooting, but if you are looking for a simple alternative to higher priced action cameras then the SJ4000 is the way to go. SJCAM has the camera listed on their website for around $119.00. Here I have listed those cameras which fit in all budgets and you can easily choose any camera from above which suits your Budget.But frankly Speaking, GoPro is the best one and you want to buy it but don’t afford that budget then SJCAM is good for you and for travelling freak, I must suggest you for Drift Ghost-S. Previous articleBest Torrent Websites, Download all your things. Next article4 Best Rugged laptop: Laptops that builts with a military grade.